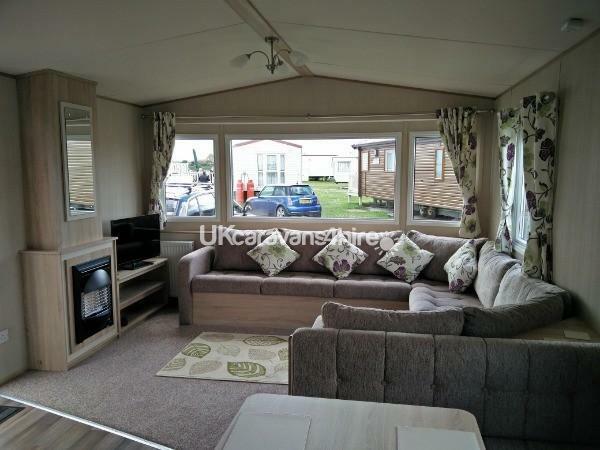 Additional Info: A 2016 caravan with wrap around decking, located on a quiet pitch. Close to the beach and entertainment complex, but far enough away for no noise to be heard. Suitable for families wishing to have an excellent holiday in an immaculate holiday home with all the comforts of home. Available for Monday til Friday or full week bookings. Please quote ABI Trieste if contacting us by phone / email. A £50 Deposit is required to secure your booking. 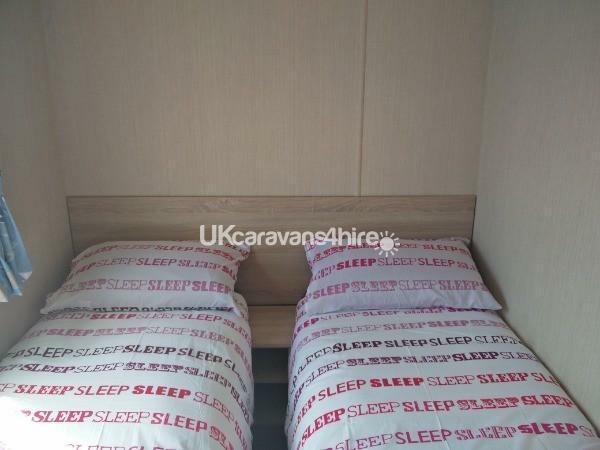 An extra £75 Damages Bond is required with the final balance which will be returned within fourteen days of departure assuming no damage or loss has occurred and caravan has been left clean and tidy. Available for Monday til Friday or full week bookings. Please quote ABI Trieste if contacting us by phone / email. 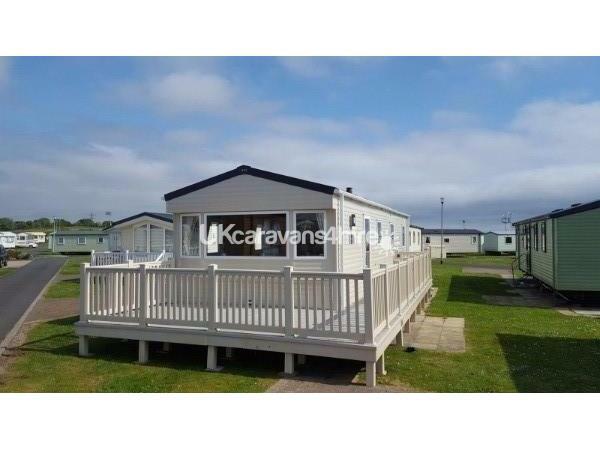 A stunning 2016 model 8 berth caravan located on a quiet pitch at Sandy Bay Caravan Park near Newbiggin By The Sea. 3 bedrooms - 1 double and 2 twin. Complete with wrap around decking, offering an excellent location to sit on an evening enjoying a cocktail whilst watching the sun set. The site itself is located perfectly for those wishing to visit The Farne Islands or Holy Island as well as a vast array of other places of interest and attractions. 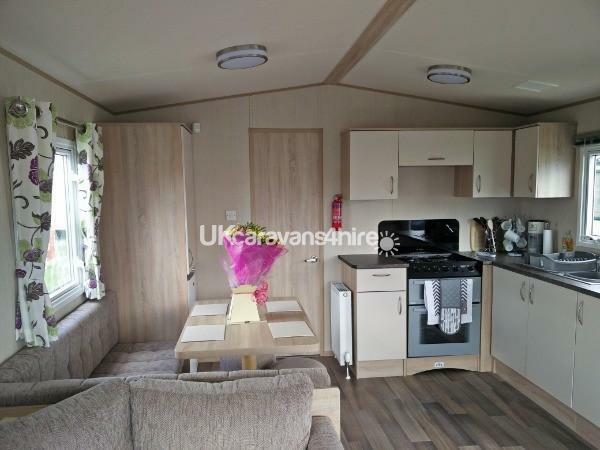 The caravan is 36 x 12 ft and offers ample living space indoors, but of course with the benefit of the outside decking space also being available. 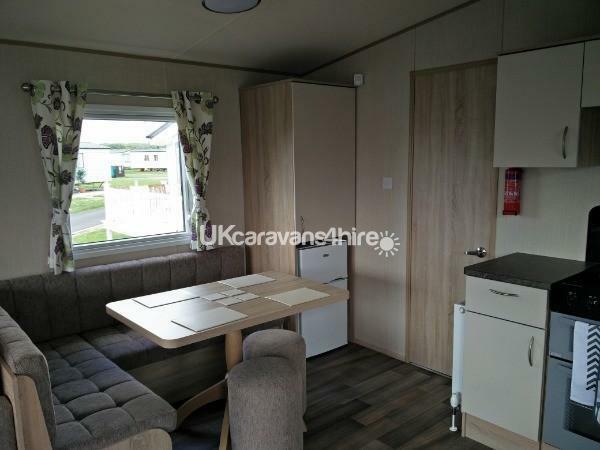 It is equipped with everything that you would expect such as TV, DVD player, toaster, kettle, microwave, crockery, cutlery, fridge-freezer, oven etc etc. There is a dedicated parking space located on the pitch. 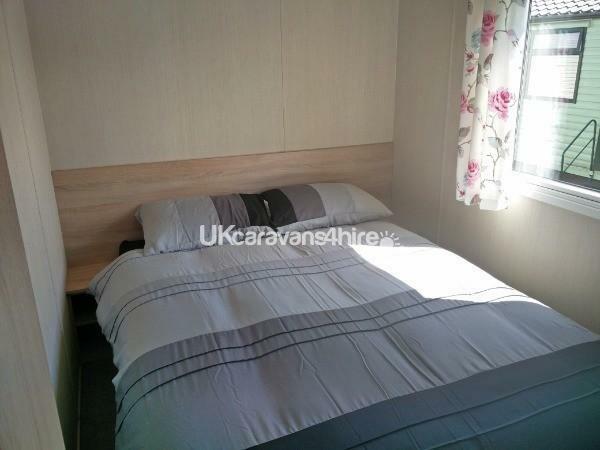 The caravan is fitted with double glazing and has central heating. There is a complete bathroom comprising a shower, sink and toilet and there is also a separate W.C. so as to help prevent any queues in the morning. You will need to bring your own towels (including T-towels). Bedding is included and beds will be made up for your arrival. Enjoy this wonderful unspoiled location in the North East, with stunning cliff top views, a Koi Carp ornamental lake and a sandy beach stretching into the distance. There's always something to do indoors or outdoors with fun activities, a luxurious heated indoor pool, an authentic Fish & Chip shop and scintillating evening Entertainment! The bar serves a selection of draught beers, wines and spirits and the Boathouse Restaurant has a wide of choice of meals served throughout the day. 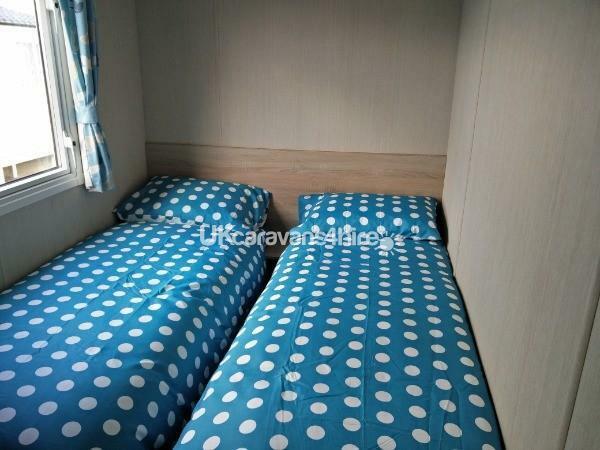 This is a platinum grade caravan with all the comforts of home. Suitable for families wanting that something special from a holiday home. Additional Info: Adventure Playground, Direct beach access. Wifi is available but subject to a charge. Excellent mobile coverage is available (not tested on all networks) but 40mb download is available on O2 4G, 25mb on EE and 15mb on 3.